There are lots of template options available for students but when we talk about business owners then it becomes very important to have most unique and effective option for presentation because it will have direct effect on your profit. Here we are providing you information about one of the latest and most useful PowerPoint template that is launched recently into market and is gaining huge popularity among users due to its highly creative features. Yes! 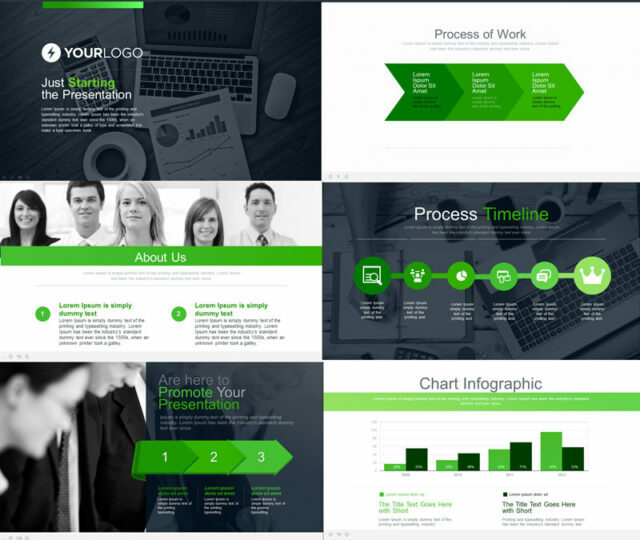 We are talking about one of the most popular PowerPoint template of year 2016 that is “Multipurpose Business Flat PowerPoint Template”; although it was already available with its old version but now you can enjoy its latest version with more advancement. This PowerPoint template has revolutionized the world of business because now it is much easier to incorporate various audio visual effects into PowerPoint presentations with efficiently adjusted informative content. You will be glad to know that both latest version of this business template that is v2.0 is available with almost 30 premade color options so that you can design attractive and impressive presentations. It helps to construct different slides with unique appearance so that you can show your products and services with separate colour options. All colour schemes are available in dark and light shades; you can even mix these colours to create different combinations with attractive presentations. If you are still using v1.0 of Multipurpose Business Template then also it is possible to have 18 different colour combinations with all light and dark schemes. You can have default mix options as well as four different levels of mixture creations to make your slides more presentable. It is possible to switch between different colors with a single click and you can change color of whole creation by just adding new color to master slide as a theme. This latest business flat PowerPoint template comes with drag and drop feature so that you can easily place photographs of your products in your slides. In other simple slide formats, it is really a time consuming process to insert photographs into slides but with this v2.0 of Multipurpose Business Template you can make use of auto placeholder option for photographs that allows you to insert all photographs easily and adjust them correctly between other text materials. If you want to make some changes to format of your PowerPoint presentation then there is no need to format slides one by one rather you can simply implement changes into master slide and all other slides will be adjusted automatically. Thus it becomes less time consuming process to make changes as per immediate conference requirements and your content will stay undisturbed even with master layout changes. Comes with almost 160 plus unique slides. Possess 4800 plus slides in all, that provides you option of creating unique presentation every time. You can easily place and replace images with its automatic drag and drop features. This high quality business template comes with 16:9 (HD) Aspect Ratio. It latest design is completely based on Master layout type format so you can easily change format of whole presentation by implementing changes only on master slide. You can enjoy easy formatting with resizable as well as fully editable elements and icons. It comes with super animated feature that assist you in designing more attractive presentations. You can also edit various data charts through excel sheets. It has 3D infographics feature. Multipurpose Business Template consists of modern showcase and mockup. It contains 30 premade colors and all of them come with bright and dark versions. Version 1.0 possesses almost 95 plus unique slides. It incorporates more than 6900 slides in all. Consists of almost 18 premade colors. Version 1.0 has both 4:3 and 16:9 Aspect Ratio. It comes with PPT as well as PPTX format. Colorful version with all bright and dark shades. You can add data charts through excel sheets into your business presentations. It has modern showcase and mockup. Highly interactive features of Multipurpose Business template allows users to add all details of their business, services and products into slides in much better manner. Its different colour schemes provide opportunity to use your slides for marketing and advertising applications; you can display features of your products with images using various box or circle formats. This business format is best suited to sales promotion activities because it helps to give a creative look to your presentations so that all your clients can receive useful information from your slides. The icons and elements are resizable so it is much easier to present things or images in variable size patterns while creating attractive animations; the editable slide feature is highly useful because it provides opportunity to present even simple things in more appealing form. As you can easily access more than 1000 resizable icon vectors that are available with ready to use shapes and more than this you can add text in thin, light, regular, medium, bold as well as heavy font format; thus it becomes much easier to highlight information over slides by giving it different shapes, size and colors. Experts always suggest adding minimum amount of text into slides but it is always good to add informative images because they make your presentations much more interactive and if you are able to add some videos in between then it can lead to better understanding of viewers. The drag and drop feature of this multipurpose business template provides you opportunity to open your image carrying folder directly, select your suitable picture, drag it towards your slide and drop it at right position; this process saves your time while creating slides and also give facility of creative image editing. With this business flat Powerpoint template, anyone can create slides with more professional look as it becomes easier to add data into presentations with interactive features of this format. This PowerPoint template brings best opportunity to impress your clients and business partners with unique and creative slides that contains all useful information in much more interactive manner so that everyone can understand all concepts. If you are going to launch a new product into market and want to present its advanced features in upcoming conference event then immediately go online and download latest version of this multipurpose business template; design your presentations with its advanced features and give a boost to your business with great success.